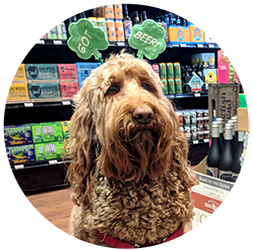 This week, Lana and Preston will select some delicious brews for our Free In-Store Beer Thursday Tasting! Stop in between 4 & 7 pm and see what they've picked! This Friday afternoon, we will have Raymond Hermosa, Broken Shed Vodka's Nashville Market manager, in the store to let you sample their delicious Vodka! Great vodka requires clean and pure ingredients — so there is no better place than New Zealand to craft our spirit. We distill our spirit from pure New Zealand whey (or, as we like to call it, milk honey), then blend it with spring water from the North and South island of New Zealand. This mountainous range is home to some of the purest water in the world. The result is a smooth and well-balanced vodka that remains true to the organic flavors of its source. BROKEN SHED VODKA IS FREE OF GMOS, ADDITIVES, CHEMICALS, GLUTEN OR ANY ADDED SUGARS. Stop in between 4 & 7 pm and give this deliciously smooth Vodka a try! This Friday, we have a Tasting Bar Takeover with Nashville's own Tennessee Brew Works. Tennessee Brew Works was born of the thirst for high quality, well-crafted, flavorful beer. 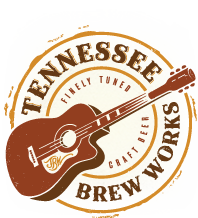 We are proud to call the great state of Tennessee home to the TennesseeBrew Works brewery and taproom, where we create our "finely tuned craft beer." With fine traditions in many things including both music and spirits, we hope to capture the essence of the land and culture in all of our brews. We strive to create our brews as efficiently as possible, minimizing waste and raw material utilization in our brew processes; doing our part for conservation. We believe that brewing is a collaboration between art, science and culture! We are all about supporting our local breweries, so come on out and taste their delicious beer! Stop in between 4:30 & 6:30 pm and find your favorite! Saturday Tasting with Founders Brewing! 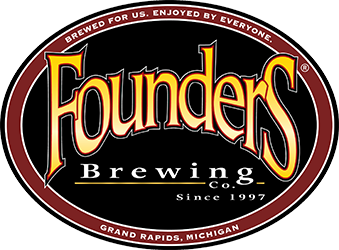 Nate from Founders Brewing Company will be in the store this Saturday to talk beer and tell you all about what's coming up from Founders. We love having our regional reps in the store and Nate is one of the best! Stop in between 3 & 5 pm and find your favorite! Virgin Bay Seafood Tasting Saturday! As many of you have noticed, we have been expanding our selection of delicious foods. 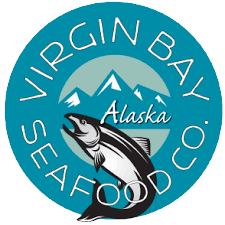 This weekend, we will have the folks from Virgin Bay Seafood in the store to let you sample their Alaskan seafood we are going to start carrying! Mike and Cathy Stoltz, an Alaskan and a Tennessean, have realized since they first met, in 2009, that Alaska has something special to offer Nashville and the rest of the country. The fresh Alaskan seafood bounty can provide more nutritious and delicious wild-caught salmon, halibut, crab, and so many other species to tables that have previously only seen farm-raised versions of seafood. The vibrant colors and firmer textures attest to the higher quality of Alaskan salmon and other Alaskan seafood. Give it a try, you’ll never turn back! Mike and Cathy will be here sampling all 5 products & offering folks cooking tips, etc. Stop in between 2 & 6 pm and give this seafood a try! Sour Tasting and Sale for Beer Thurs+Brew Dog Beer Tasting Fri & Weekend Wines!